Our strategies have generated over $3 B in residential real estate sales. Etainia is a digital marketing agency specializing in premier real estate and resort marketing. Etainia produces a powerful online presence for each of our clients, creating websites that are user-friendly yet strategic. Comprehensive marketing solutions include engaging content, state-of-the-art interactive applications, email marketing campaigns, social media integration and more. Etainia is out to prove that experience counts, strategy is critical and creativity is king — we go the extra mile. We design for your audience and we put the visitor’s experience first. Capturing the attention of your prospect is essential and doing so requires a smart, dedicated and experienced team guiding your marketing efforts. Etainia is that team and our mission is to be your partner in producing results, success and sales. Our online experience goes back to 1987 with the design of a private network for managing a touring concert musician’s business. We have expertise in a wide variety of media, from video to digital to live performance and location design. Explore our project portfolio for our perspective on and many examples of Experience Marketing®. 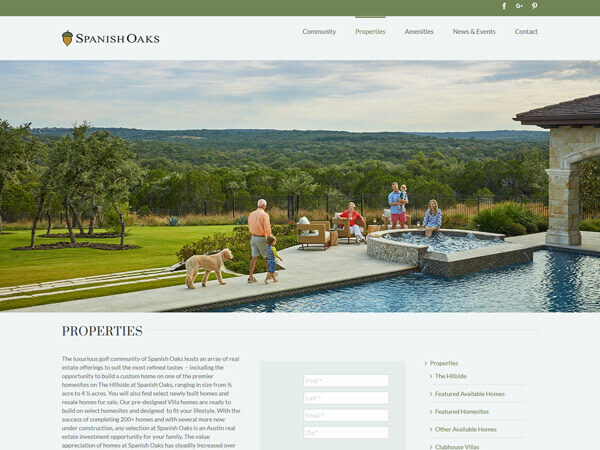 Whitetail Club engaged etainia back in 2010 and now, in our third iteration of the website for marketing the real estate at this premier private golf community, we have vastly expanded the quality of the presentation of each property with a dedicated page featuring details of the property. 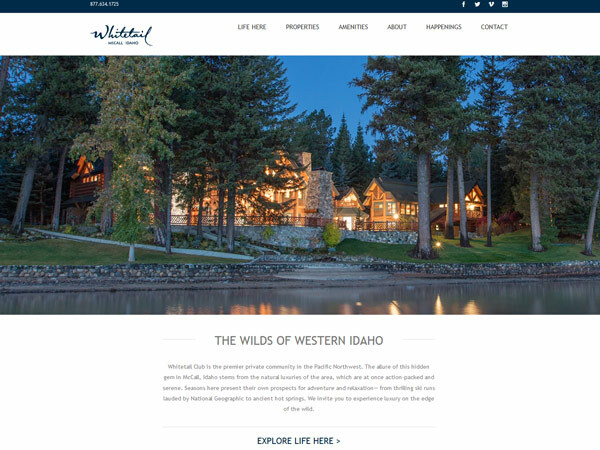 Whether a cabin, custom home or the available homesites showcased using drone photography – the visitor can fully grasp the opportunity and the majestic views and beauty of this pristine Idaho location. Inquiries are also identified by the property’s address with custom URLs for the sales team to use to guide prospects to their options.